I have a confession: I am a lover of random, beaten down, seen-better-days stuff. This bodes well for my husband, in say 20 years from now! But in all seriousness, I am referring to the likes of what you see on the TV show Flea Market Flip, where wannabe flippers scour a flea market looking for items they can re-purpose into something new and purposeful. Yep, that’s me, a re-purposer on a hunt in a sea of tents and tables determined to find the cheap yet salvageable treasure! For a girl who grew up in a home where all things were new, fresh or professionally redone, my mother thinks I have gone off the rails. 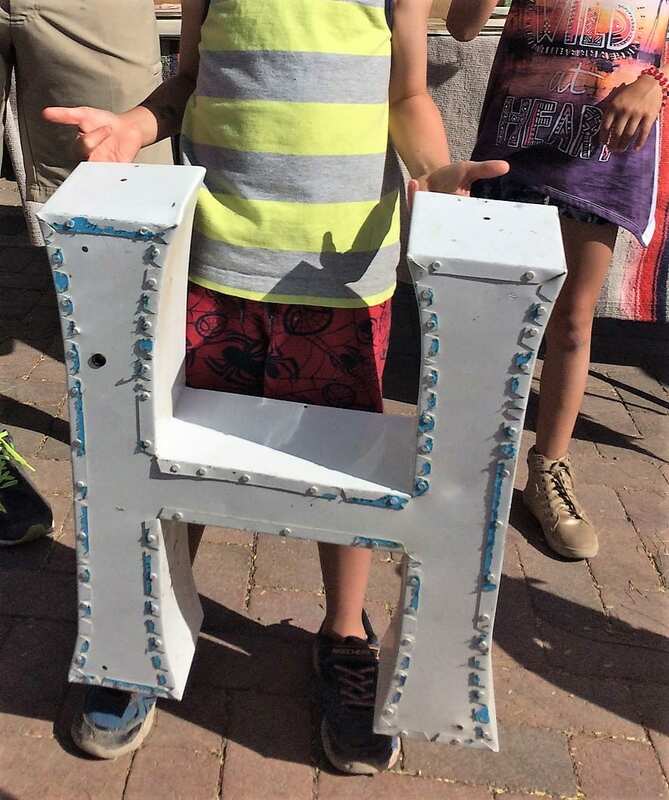 So as I drag my kids to yet another early weekend morning flea market, I have learned some handy tips to ensure that you too can find the treasures that will make your home the best reflection of you! 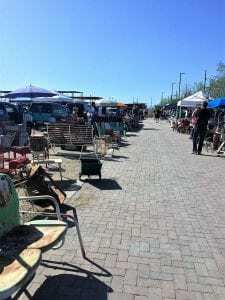 Most flea market vendors don’t have credit card machines or Square on their phones nor do many accepts personal checks. Make a pit stop at your local bank machine and pull out some hard cold cash. If you have ever watched Flea Market Flip, you know that the flippers are given items and categories they must search for. This makes the mission they are on so much more manageable. 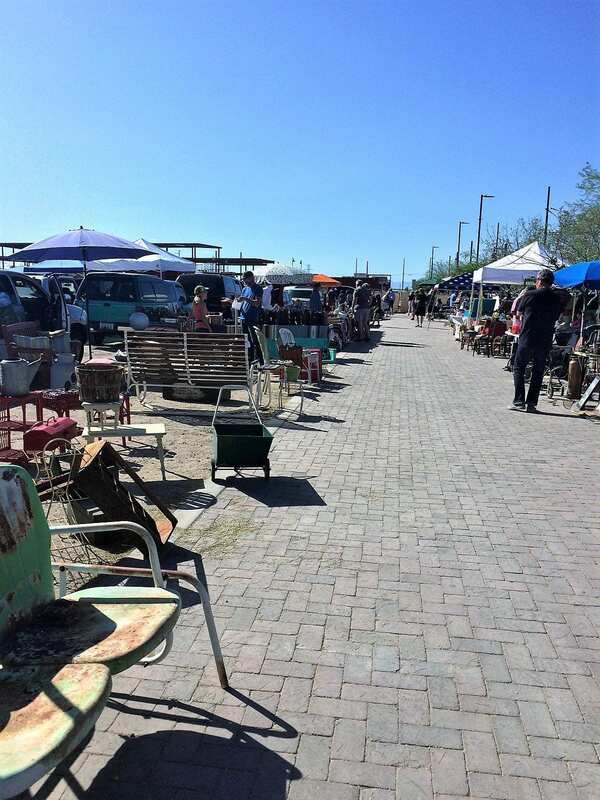 Depending on the size of the flea market you are visiting, you can get quickly and easily become overwhelmed! Save yourself the unneeded stress and have a plan of what items you are looking for. Are you searching for vintage handbags and costume jewelry? Are you willing to re-paint a side table or re-upholster a chair? Have a plan – know what you are looking for and how much work you are willing to put into an item before you bring it home. Think you want to paint furniture? A fun DIY before and after furniture project with Vintage Furniture Paint. Picked up this large letter for $2 that will be turned into a wall planter! We’ve all been there and done that. We get caught up in the act of buying just for the sake of buying! Who hasn’t made one of those regretful purchases? 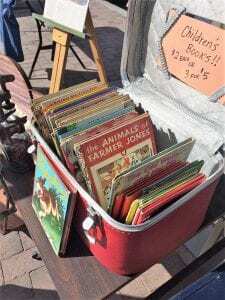 It’s hard not to get caught up in excitement of visiting booth after booth of items that bring back memories of your grandma, or being swayed by the $10 sticker on a piece of furniture. So before you plunk down money (aka: cold hard cash), know what you are looking for and how you plan to use this amazingly awesome item you are gawking at or being talked into by a vendor. Don’t buy just to say you bought something at a weekend flea market! Stumble across some old window frames? Here are 7 creative ways to re-purpose old windows. Just because they haggle on a certain furniture re-purposing reality show, doesn’t mean that you should too. If the item you are looking at is a good deal – and you know how you will use it – don’t haggle. How do you know if it’s a good and decent deal? Do a quick online search of sites like your local Craigslist site, or eBay and Etsy especially for vintage items. Retro items are making a comeback! Check out these 17 retro kitchen accessories that’ll give you a blast from the past! On a recent flea market excursion, I purchased two vintage handbags then asked if the vendor would throw in the $10 retro magazine rack for free. She did. All you can do is ask; all they can say is no. If there are multiple items from one vendor you are interested in, ask for a discounted price on a larger number of items. Flea markets are a great place to find items you often can’t find in your local home decor store. Fill your home with personality and character by visiting a flea market this weekend! Who doesn’t love a good treasure hunt? !